Embrace the flavor of fall. Yearly, autumn consumes our senses—the flicker of a backyard bonfire, the sweeping of leaves. It’s not just sights and sounds that come with the changing weather, though, but also tastes. Here at the SWISCO blog team, we gathered together a collection of seasonal dishes with a lot of potential. Embrace the flavor of fall with these five recipes from across the internet. With these recipes, you’ll eat well from Halloween through New Year and beyond. From appetizers to desserts, we’re going to give you a lot to work with. Roasting seeds is a good way to recycle after carving pumpkins. Fall is my favorite season, because in addition to Halloween, sweaters, and fading leaves, there’s food. 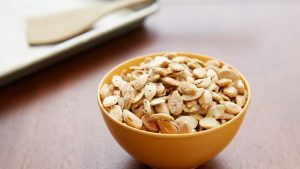 When October rolls around, one of my favorite snacks is roasted pumpkin seeds. Personally, I drizzle olive oil and sea salt on them and roast them at 350 degrees, but you can also make them sweet or spicy. Pillsbury offers this guide on pumpkin seed roasting. If you already carve pumpkins, the seeds are just waiting to be used. Most of the time, people throw out the pumpkin guts. However, if you save the guts, you’ll have enough reserves to roast seeds with a bunch of different seasonings. It’s a messy job, but worth the effort. Goulash soup with coarse bread is a German fall favorite. While SWISCO awaits a mild fall, a chill falls over Central Europe, which actually lies on a latitude with Canada. Across the region, from Oktoberfest through the New Year, Europeans reap a harvest of comfort foods. Goulash, or Gulaschsuppe, is one. This beef-based soup bounced around Europe, becoming especially popular in Germany and Austria. 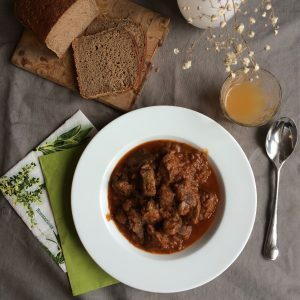 Here is a Viennese goulash recipe from A Sausage Has Two that was adapted from the original tomato-based Hungarian soup. This version includes extra onion and omits all the other distractions. If watching cubes of beef melt away into broth doesn’t warm you this season, the soup will. 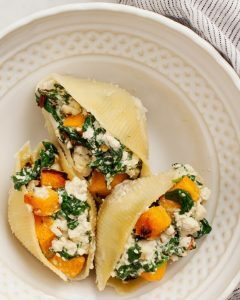 Celebrate the fall season with vegan butternut squash-stuffed shells. Since pumpkins get all the attention during fall, I’ll highlight a less popular (and in my opinion, truly underrated) gourd – butternut squash. Like pumpkins, these gorgeous gourds pack a punch of nutrients, sneaking immune-boosting vitamin A into your fall diet. This vegan recipe for butternut squash-stuffed shells from Love & Lemons only uses a handful of ingredients that you may already have on hand. It’s a great weeknight dinner for vegans, or anyone who wants to avoid meat. On an autumn morning, try pumpkin-filled cinnamon buns. 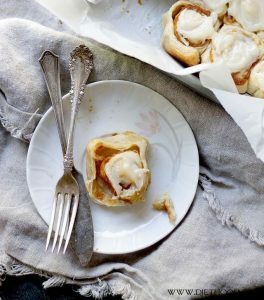 I’m a sucker for anything sweet, so I had to try this recipe when I found it on Diethood: pumpkin pie cinnamon rolls. Honestly, I think every person on Earth (or dog, as I’m sure my dog would love these, too) needs a cinnamon bun sometimes. While I already love cinnamon buns, when someone added pumpkin into the mix (literally), I almost keeled over. This recipe can be a spur-of-the-moment snack, or an addition to a breakfast spread. I can’t wait to try it both ways. 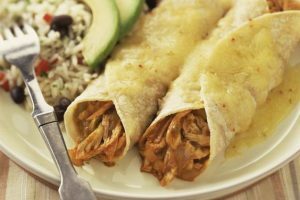 Thanksgiving turkey can be transformed into enchiladas. When the holidays roll around, I look forward to the ultimate entrée: turkey and gravy. This autumn staple stands head and shoulders above every side, app, topping, palate cleanser, and dessert. Peak fall eating means turkey, stuffing, and cranberry sauce on Thanksgiving Day. The only thing better than a freshly carved bird is the spread of leftovers in the weeks that follow. I welcome the daily challenge of incorporating turkey into my meals. I found this list of leftover turkey recipes on The Spruce Eats, including soups, sandwiches, and even casseroles. 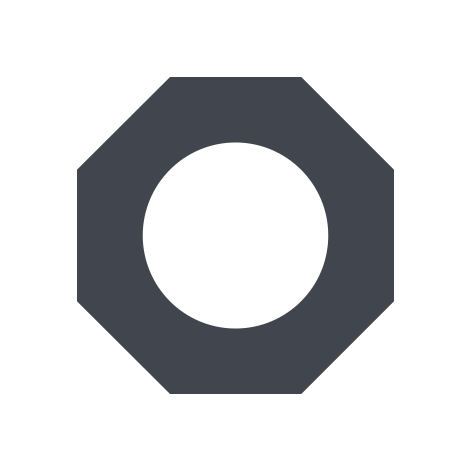 Don’t waste a single scrap.